In 2012, Lisa Daniels’ youngest son, Darren B. Easterling, was murdered by a man named Michael Reed in the midst of an illegal drug transaction. On the day of Michael's hearing, Lisa requested to read a victim impact statement to the judge that not only spoke to the loss of her son’s life and its impact on her family, but also to the value of the life that remained in Michael Reed. By pleading with the judge to spare this young man’s life by showing leniency in his sentencing, Michael will be released from prison in 2019. Forgiveness makes more life possible. It is this notion which led Ms. Daniels to establish the Darren B. Easterling Center for Restorative Practices (“The Center”) in 2016. The Center is a behavioral health service organization founded on the belief that no one's legacy should ever be defined by their worst mistake. Its mission is to transform the individual behaviors believed to be at the core of gun-violence by offering evidence-based recovery services to women and children impacted by the loss of a loved one as a result of violent crime or incarceration. Earlier this year, the Center was awarded the Safe and Peaceful Communities grant to host our first ever Truth and Reconciliation Summit--a day-long event--which took place on Friday, July 20th at Kennedy King College-- designed to reweave the social fabric of Englewood (consistently ranked as one of Chicago’s most dangerous and underserved neighborhoods) and help move the community forward by healing its past. The Summit's mission is to spark a national conversation around the intrinsic power found in sharing our stories to heal our pain. To discover the humanity in ourselves and others and unearth forgiveness - one community at a time. "Our communities live with pain and anxiety. The Truth & Reconciliation process provides some relief, and helps treat our open wounds so we may go forward a little stronger." How can you help us continue this work? 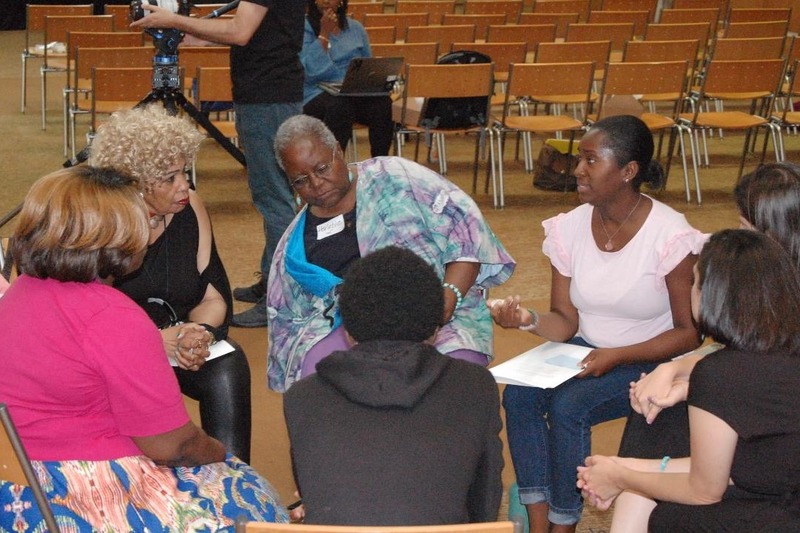 The Center plans to host five separate Truth & Reconciliation summits in different communities throughout Chicago over the coming year and your contributions will assist us in covering all of the costs associated with hosting each summit. Through the practice of forgiveness, we hope to give rise to both healing and reconciliation with survivors, perpetrators, and community leaders, in an environment that develops a sense of connectedness. We are asking you to partner with the Center in bringing this catalyst for change to communities throughout the Chicago land area—at no cost to attendees—by making a contribution today.